Exhausted of spending all day and entire weekends cleaning your home? What if you could get your weekends back? That’s Clean Maids is here to help change your life for the better and finally make more time for yourself! We are proud to call The Woodlands and surrounding areas our home! We are a community built on hard, diligent work, doing the right thing, and helping others. We are firm believers in these principles, both in life and in business. This enables us to deliver a high quality customer experience. Book a cleaning through our referral platform and reap the benefits of top-notch Houston TX cleaning services today! Having a clean home all the time sounds virtually impossible! Fortunately, it doesn't have to be so, as long as you find the perfect cleaning package for your home! Flat rates? Charging by the hour? No need to sign a contracts? Check, check, check. Best yet, you can cancel anytime! Carpets, windows, baseboards? The cleaners we send your way do it all. After all, their genuine dedication and attention to detail is what makes them the best in the business. Customized cleaning is all the help around the house you'll ever need! The Woodlands TX is awesome! The Waterway, restaurants, Cynthia Woods Pavillion, shopping and so much more. But wait, you realized you forgot to get all the housework done and, worse yet, you have guests coming over. Let us help you get rid of all the cleaning and make some room on your to-do list. We'll match you with the best in the business who will make your home spick-and-span and be there for you whenever! Why waste time scrubbing the toilet or mopping the floors when you can have a competent professional do it for you while you use the time to unwind or spend quality time, alone or with your pets, family or friends! As a maid referral service The Woodlands, TX residents depend on, we can take the burden of cleaning off your shoulders, because we know just whom to call. The cleaning experts we work with will make your messy home clean and help you keep it that way so you can take back your free time and dedicate yourself to what matters most to you. Rely on the best maid referral service the Woodlands, TX can offer! 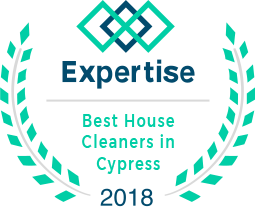 Also available: maids cleaning services in Cypress, cleaning services in Missouri City, maid cleaning services Spring and maid cleaning services in Tomball, areas. It’s time to enjoy your leisure time, go biking in the George Mitchell Nature Preserve, have a picnic with your friends and family in Town Green Park, go kayaking on the Woodlands Lake, or visit the Cynthia Woods Mitchell Pavilion! The possibilities for spending some quality time in The Woodlands, TX are endless! We start saving you time even before your cleaners knock on your door. Our online booking is easy as 1-2-3, our flat-rate pricing is easy to understand and you won’t be charged until your cleaners have finished your house cleaning in Woodlands, TX. No hassle and no unpleasant surprises! We guarantee that you will be pleasantly surprised by their quality of work and their passion for making your home life better. 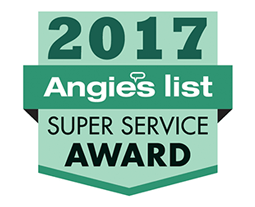 Do you need one-time or regular house cleaning in The Woodlands? Are you ready to move, and looking for someone to make your home spotless before leaving? That’s Clean Maids can help! Let your team of house cleaning The Woodlands professionals ease your workload, saving you both time and effort! 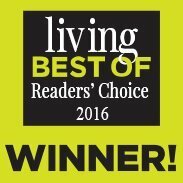 They offer comprehensive cleaning services The Woodlands homeowners love to call their own! Whether you are in need of tile and grout cleaning, carpet cleaning, basic or deep cleaning, we are your go-to maid referral service in The Woodlands, TX. Have any preferences and special requests? Not a problem. You can customize your maid service in The Woodlands, TX to suit your cleaning needs. Your cleaners go the extra mile to meet and exceed your expectations. After all, it is your home and that’s why your cleaning services in The Woodlands, TX are flexible and personalized. All the cleaners are fully trained and skilled to provide the best cleaning services The Woodlands, TX can offer. They will treat your personal belongings and your property with the utmost care and respect. We make every effort to always send the same cleaning team to your home. We know that you feel most comfortable with someone you already know. Also, your cleaners will get to know you and understand how you want your house cleaned. We want you to feel comfortable and fully protected when you invite cleaners referred to you by That’s Clean Maids into your house. All the cleaners are insured for your peace of mind. We value your trust and work only with the most qualified house cleaning The Woodlands professionals in the business. That’s why we hand-pick all cleaners through a stringent vetting system. The evaluation of the cleaner’s expertise doesn’t end here. The cleaners get rated for each and every cleaning they do based on your feedback. We also offer a 100% satisfaction guarantee on the work. If you are not absolutely satisfied with your cleaning, just let us know and the crew will come back to re-clean the area in question – completely free of charge, no questions asked! We work hard to earn your trust and strive to resolve all complaints within 48 hours. We also have amazing discounts for our regular customers! Schedule recurring cleaning services in The Woodlands, TX and save up to 40%! Book any second service such as carpet cleaning and receive a 10% discount! 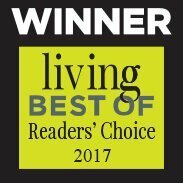 See for yourself why we are a maid referral service Woodlands TX residents call whenever they need someone to organize thorough cleaning of their home! If you are looking for a trustworthy maid service in Cypress, TX, one-time house cleaning in Kingwood, TX or detail-oriented house cleaning in Rosenberg, TX, rest assured That’s Clean Maids is your one-stop shop! We'll make it happen! We also service Tomball TX, Katy TX, and neighboring areas. We make it easy to get the help you need in order to keep your place clean. All cleaners have passed vigorous screening and background checks. Let us take care of making all the arrangements for the cleaning of your home so you can focus on what really matters to you. We make paying for the service simple and easy. What's more, we will never charge you until after the cleaning has been completed. Each job will be rated by you via automated email. Make sure to let us know what you think! Your input is important to us. Happy customers are our #1 priority.